We have a contract on a house! I can hardly believe it, but our offer was accepted and fingers crossed, if all goes well, we’ll close next month. 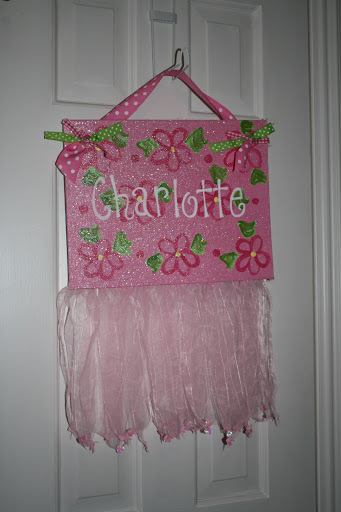 So…she will probably have a brand new (PINK!) 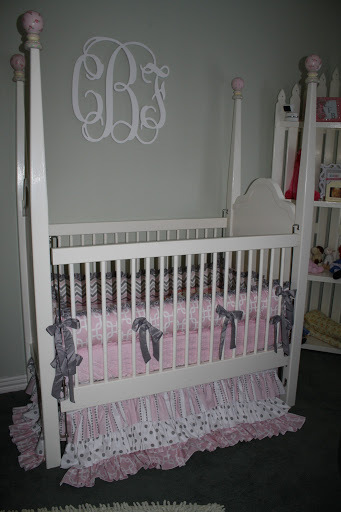 room sooner than later, but here’s some pictures of Charlotte’s completed temporary nursery. There are a lot of brand new pieces in her room, but I also loved that I got to break open my “girl box” of treasures I’ve been collecting for years to use in a little girl’s nursery some day. This is one heck of a temporary nursery! 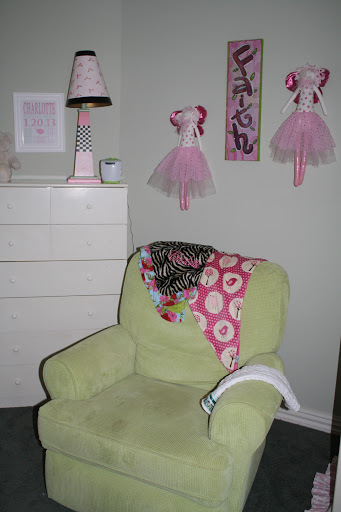 Haha – your temp nursery is WAY more decorated than Stella's permanent one. Love it! YAY for being under contract!!! Woohoo! 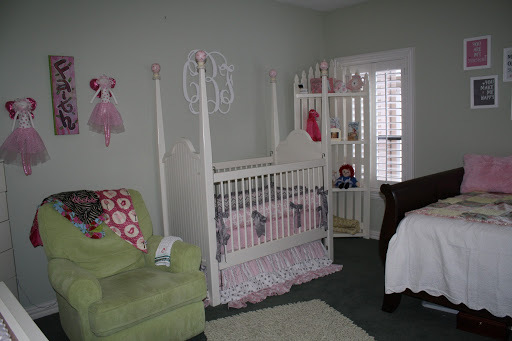 I love the nursery too! LOVE the bedding! Hope all goes well with the house and the inspection!